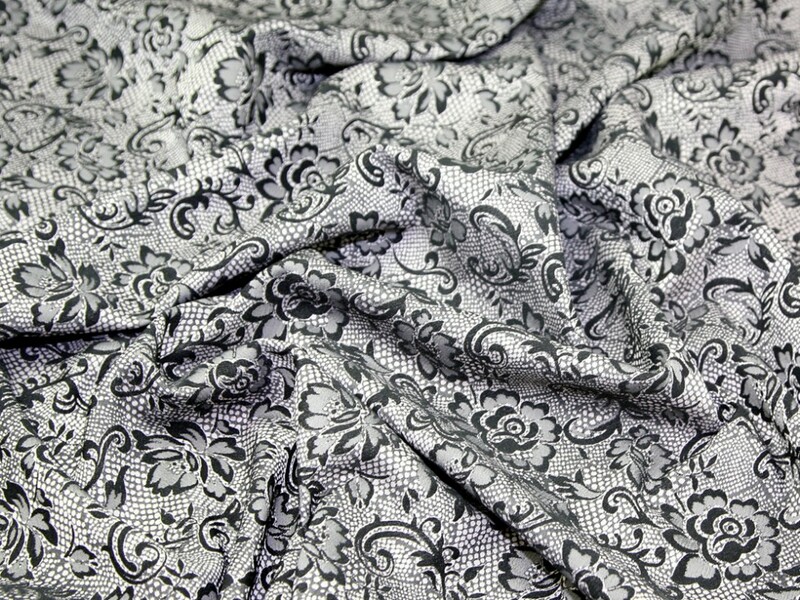 This luxury stretch fabric from the Celine collection is a stunning jacquard with a lace effect pattern. Available in 3 jewel colours with a striking black design, this fabric certainly is a head turner! The stretch goes across the width of the fabric. It has a reasonable amount of stretch which will make this fabric easier to fit ad sew for fitted garment styles. The detail in this design is exquisite. It would be absolutely stunning made into a dress or skirt for a fancy occasion. It would also make a lovely top or fitted jacket. Perfect for party wear! Hand or machine washable.